Here at Shephard we understand that having work done on your home, or even building your house from scratch is a daunting prospect. Don’t worry… we’re here to help and to take the stress off your hands. We specialise in bespoke builds so whatever your idea our team can evaluate and offer professional guidance and solutions, no matter how crazy the idea! 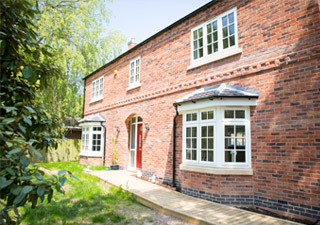 We carry out house extensions throughout the Loughborough and Charnwood area. The first meeting will involve us visiting you at home to introduce ourselves and to get a detailed picture of exactly what you require and talk through any questions you have with regards to the project itself. You can find out a bit about us here. You don’t have to worry about overseeing the project and acting as project manager as we can do this for you. Stop worrying about arranging a plumber, electrician and decorator… we can take care of everything. Our experienced and dedicated team will go above and beyond to get the project finished on time, so that you can start enjoying it. Just think about what extra space would mean to you and your family? Space for you to relax in, a playroom for your children or a bigger kitchen and dining room. Not only will you have lots more space to play with but it will also increase the value of your home. Bonus! 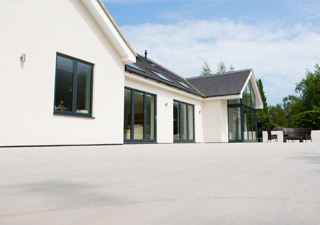 We are confident that our high level of service and attention to detail really does make us the number one choice for builders throughout Charnwood and Loughborough. If you are thinking of a new single or double storey extension or you’re embarking on building your house from scratch then we’d love to hear from you. At Shephard Building Services we know that having a house extension is not always a straight forward decision; there are often many different things to take into consideration including the size, the cost, the effect on the overall layout of your home and the ultimate effect on house value. We will work with you every step of the way to make sure you get exactly what you want with the minimum amount of stress. What would extra space mean to your family… meals together, a more relaxed home, somewhere to relax after a hectic day, an extra bathroom to avoid the morning rush? … Or even a swimming pool for endless afternoons of fun? The list is endless and extra space really does have a positive impact on you and your family. Needing more space is one of the top reasons people choose to move house. Space is important, especially if you’re a growing family or you have a hobby that requires lots of space.But why would you move from the home you’ve built up over the years, and all those memories. Wouldn’t it be much better to stay in the home you know and love… but with a bit more room?. 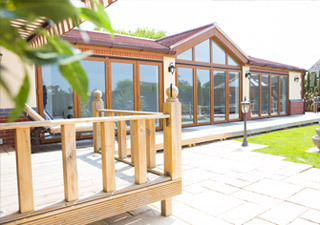 If you are considering the building of an extension to any part of your property and you live within the Loughborough or Charnwood areas then why not get in contact with us for a free, no obligation consultation and estimate – we’ll even bring the biscuits! Does your home need a bit of TLC? It’s common for certain aspects of your home to be overlooked for a while and then all of a sudden it appears to be out of date and ‘old fashioned’. Sometimes it’s better to opt for a full renovation to get the best results. Or maybe you have found a great deal on a property that could do with a little helping hand to bring it up to standard. If you’re interested in a renovation get in touch with us. We’re more than happy to talk you through the options. Visit our contact form to get started. Finding a new house is exciting! Building your own house is what dreams are made of. You have control over everything and can tailor make your house to what you want. You may have viewed a few houses in the past but you’ve never found your dream home. There’s always something not quite right… The kitchen is too small, there’s no downstairs loo, the smallest room is more of a cupboard! Building your own house eliminates all of these problems. If you feel inspired why not get in touch to start discussing your ideas!